...Ultimately, the microorganisms in the ocean will survive, as they have for billions of years, and they will help restore Earth to a biogeochemical steady state. If we can understand them better, perhaps we can help them help humanity survive as well. -- from an overview by Paul Falkowski of discoveries as to the nature and role of phytoplankton in Earth system. 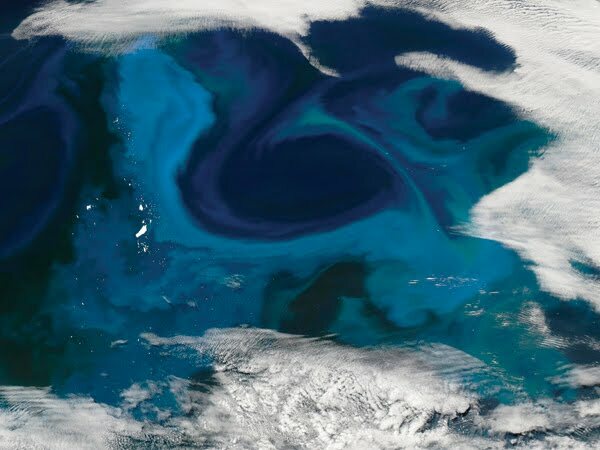 The phytoplankton will survive, but humans are going to pay the price. I find it very discouraging that a large segment of US society is not accepting conclusions that are based on objective science. It's distressing because everybody seems to be their own climate expert. I don't think humans realize that we're a vulnerable species.